So here's a quick mani for today. 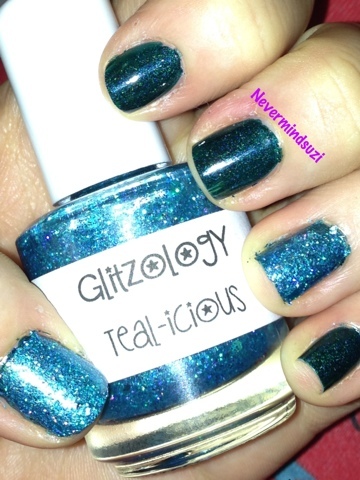 Saint George has a lovely holographic scattering And Teal-icious is just a glitter bomb of goodness!! 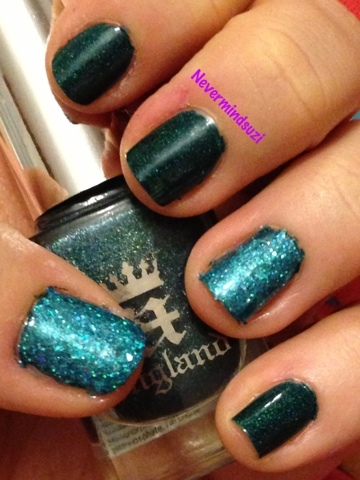 The glittery teal colour is gorgeous! I love it!